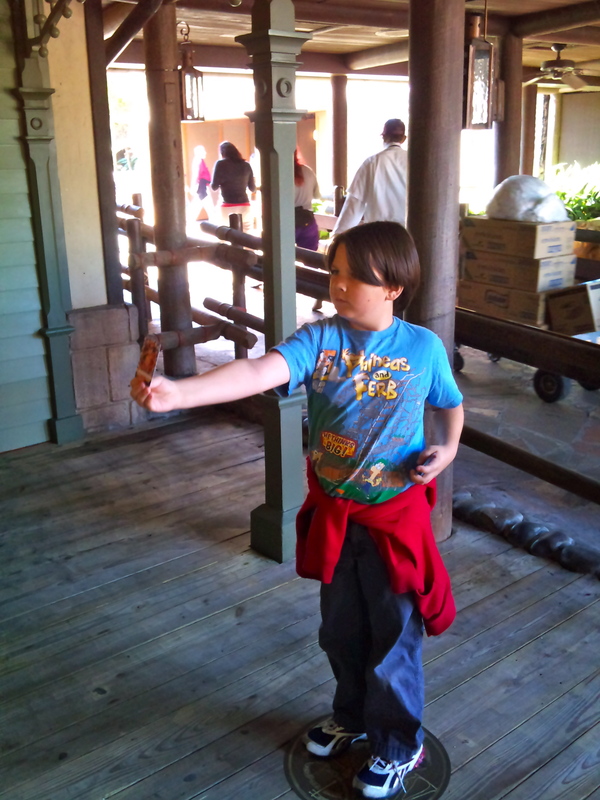 Some of you may have seen previous blogs of photo scavenger hunts I put together for my son at the Magic Kingdom and Disney’s Hollywood Studios. 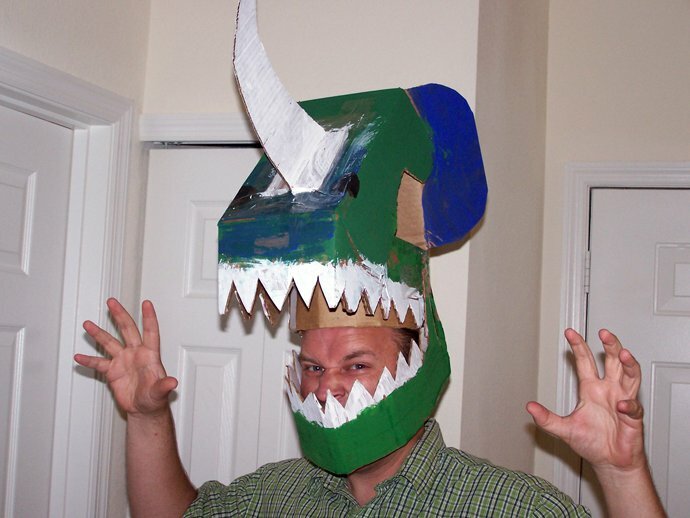 Both of those were based off this one that I put together for coworkers for a team builder at Disney’s Animal Kingdom. I removed 4 items that were specific to our team. Feel free to substitute your own to get it up to 100. This same list was used at Disneyland and Disney’s California Adventure, pretty successfully as well. Welcome to the DAK Photo Safari. In this safari, you will be documenting your experience with photographs of possibly difficult things to find around the park. It will require a great attention to detail. If possible, try to capture at least one member of your safari group in each picture. None of these photos will require you to ride a ride. To be successful, some subjects may require a little creativity, but don’t bring anything from the list into the park with you. A car built before 1970. A Coca Cola sign in another language. 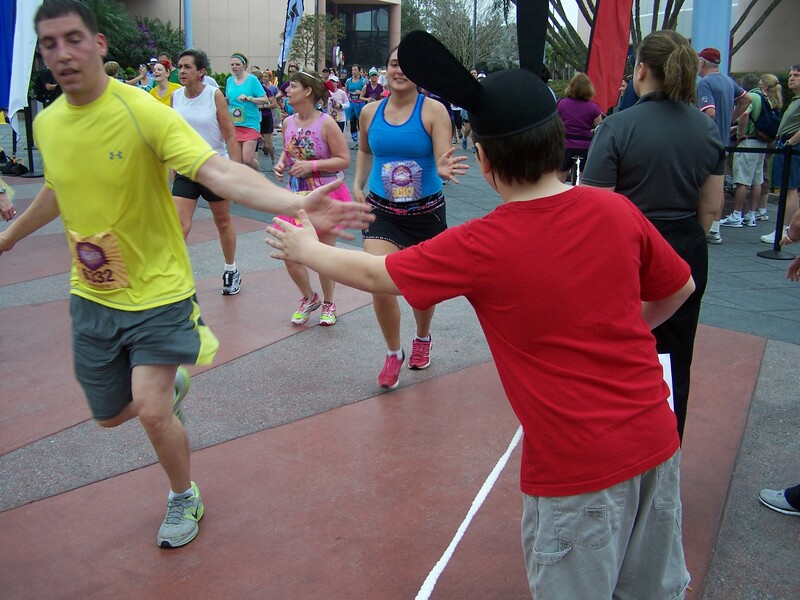 A Cast Member performing a magic moment, take 5 or going above and beyond. “Thank you” in another language. My son and I had the opportunity to go to Mickey’s Not So Scary Halloween Party at the Magic Kingdom a few weeks ago. I got the tickets last minute, so I had four hours to throw together costumes for the party. 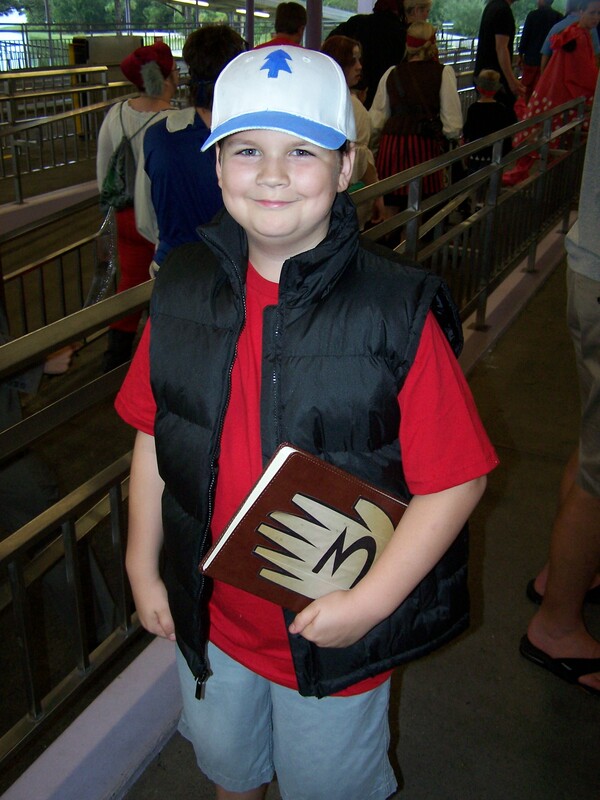 My son and I had previously talked about Gravity Falls characters, and knowing that the Wreck It Ralph costumes would be outside our reach in the limited time I had, I was able to make my son into a pretty good Dipper Pines, and myself into a passable Grunkle Stan. While we were at Not So Scary, we saw a few other people dressed as Dipper and his sister Mabel, but I didn’t see another Grunkle Stan that night. Overall, I think they turned out pretty good for the time/resources I had. For my son’s Dipper costume, I found the vest jacket at Ross in the kid’s section for about $10. The hat is a plain white hat I found at Michael’s for $2.99. (One of the Mabels we saw made her brother’s Dipper costume and said she found a plain white trucker hat at Walmart.) The red t-shirt was $4 at Target, and the grey shorts were $12 at Target (but those can be worn all the time, so it was a good buy). The book is a faux leather journal that I glued the 3 hand to. My son and I got to see parts of the New Fantasyland at the Magic Kingdom as they are doing their dress rehearsal. This is their soft opening while they test and adjust the attractions, food and merchandise. Almost everything was up and running except the Be Our Guest restaurant, though they let us walk in to see how it looks. This new area of the Magic Kingdom opens officially December 6th. We had Le Fou’s Brew at Gaston’s Tavern, which is apple juice slush with Monin Toasted Marshmallow syrup and topped with a passion fruit foam, and a pork shank, which will probably be as popular as the ubiquitous turkey leg. It’s a pretty hearty meal, and well fit for Gaston’s. The Enchanting Tales with Belle experience is what every character meet and greet should be. Ariel’s Grotto was done well so that there is plenty of individual time with everyone’s favorite mermaid. The Under the Sea ride is solid, with good audio animatronics, but the queue is awesome. The attention to detail in the whole land is wonderful, with surprises to see everywhere you look. Along with the already-open Storybook Circus, the new additions to the Magic Kingdom really make you wish every part of the parks were as detailed and lush. The adjacent Tomorrowland could use a tender loving makeover with a fine bristled brush. Here’s a slideshow of our New Fantasyland experience. The pictures are on Facebook, too, with captions. And, a few were posted on the very awesome Disney Food Blog. Today, Alexander and I got to participate in the soft opening of the Sorcerer’s of the Magic Kingdom (SMK). 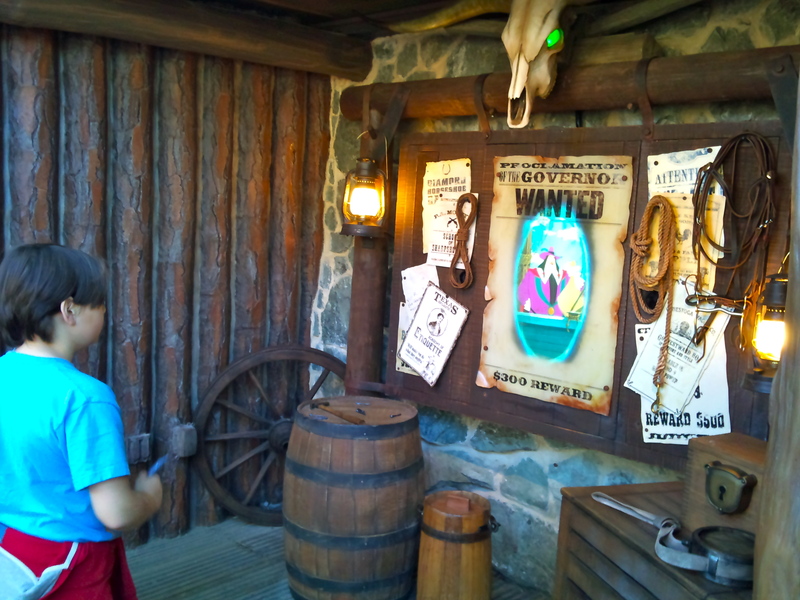 This is a new interactive scavenger hunt at the Magic Kingdom at Walt Disney World. If you’ve done the Kim Possible adventure at Epcot, it’s very similar, but also very different. You check in at the Fire Station at Town Square adjacent to City Hall. For the soft opening, when hours are not guaranteed, they opened approximately at 10:30, and closed before 2:30. At the fire station, they give you a map and a set of cards. One card is a key that activates the “portals” throughout the park. The other five cards are “spells” that you use to fight villains. The spell cards are like pokemon or other card games with stats, but they feature characters from Disney films. After you get your cards, you go to a training station where Merlin from the Sword and the Stone sets up the story line and shows you how to play the game. You’re then set loose in the park. The portals are spread throughout Main Street, Adventureland, Liberty Square and Fantasyland. Today, the Main Street portals were not working, but that didn’t seem to impact the gameplay. 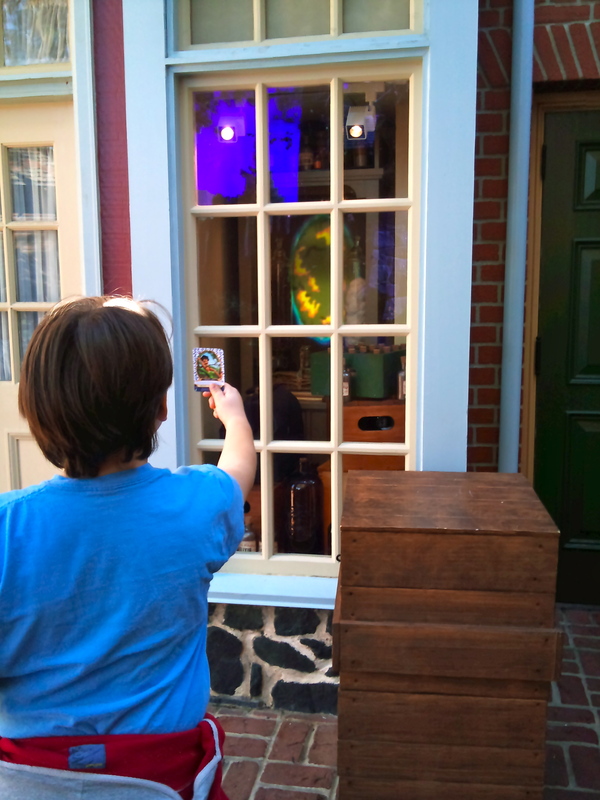 When you get to your first portal as directed by Merlin, you activate it with the key card and a hidden screen activates with a storyline about Hades recruiting villains to get the Crystal of the Magic Kingdom, that he needs to take over. Each adventure features one villain with five portals. To defeat them, you hold up a spell card, which causes some on screen magic. For example, if you have the Headless Horseman’s Exploding Jack-o-lantern spell card, you’ll see jack-o-lanterns explode on screen to defeat the enemy. When you’re done playing, you get to keep the cards. The next time you play, you’ll get new spell cards. Already there was some card trading going on. There were two girls who had duplicate cards and we traded one of our cards for one of theirs duplicates. There are 70 cards in all, so it will take a lot of replaying to collect them all. I think there’s opportunity to expand this online, maybe using your computer’s webcam to use the spell cards. While the key card seems to use a passive RFID chip, the spell cards are read by cameras around the portals. At the end of the episode, you’ll have the chance to go to another set of portals to continue playing and defeat more villains. The storyline does have a definitive end, though. After you defeat all the villains, you face Hades and Chernabog and Merlin congratulates you. You don’t get the opportunity to continue, and The End is displayed on the screen. Getting to all of the portals took a lot of walking and a lot of backtracking. It took us about 3 hours to complete all the adventures. There was a ton of interest in the game by passersby in Fantasyland, but we were mostly ignored as we played in Adventureland and Frontierland. I can’t help but think this game started out as a game based on the Kingdom Keepers book series by Ridley Pearson, which takes place in Disney parks, and features kids fighting Disney villains. It probably works better with its own standalone theme and story, though, so Guests don’t need to know anything about Kingdom Keeprs. The game was fun. I enjoyed the ones in Fantasyland the best. The theming fit better than some of the others, and the portals weren’t too spread out, so it limited the back and forthing. I like the variability with the spell cards, but the effects are kind of limited since it’s all on screen. With Kim Possible at Epcot, they have more mechanical actions with their clues, utilizing buildings and props, which makes it more kinetic and immersive. But since Sorcerers of the Magic Kingdom is all on screens, they should be able to easily add more adventures as time goes on with new villains and storylines which may increase the playability. Next time you’re in the Magic Kingdom, stop by the Fire Station and give it a try!